All it really takes to manage your personal finances and money effectively is to have a basic understanding of how finances work. 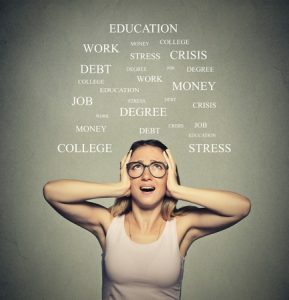 There are several things you can do to learn how to manage yourself and your money during stressful times, including seeking out financial assistance online, using personal budgeting software, managing your personal finances, budgeting your money, reducing high interest debt and using this personal finances guide. 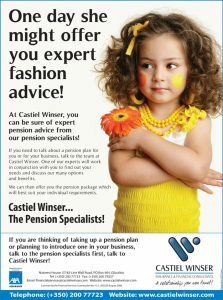 Our financial guide provides you with a lot of valuable assistance to help you with all aspects of money management. Most people don’t view their lives or themselves in business terms. However, from the time you are born until you die, you are running a business, it’s the business of you. It’s completely up to you how you decide to manage your own business. The same principles that apply to operating a successful business apply as well to leading a successful life, both emotionally and financially. Keep in mind that being stressed out about money can negatively impact your health and emotions. Providing our fellow humans with good service is another reflection of a successful business and providing their lives with value. If you try giving as much value as you can to as many people in your life as possible, you will be able to become a successful individual and wealth and customers will be knocking at your door in no time. You might be wondering how this is relevant to successfully managing your finances? – Make the extra effort to eliminate any emotion such as anxiety from worrying about financial obligations due to your income or bills that are piling up. Taking your emotions out of the personal financial budgeting process is definitely something that will take time, and you will always have to be alert for emotions to arise and threaten to disrupt the process. When you take your emotions out of the process of managing your finances it can help you with solving problems effectively and coming up with positive solutions. – It is important to manage your personal finances regularly instead of allowing administrative tasks to accumulate. That will allow you to stay on top of things, change those things that need it, and make better decisions in advance instead of always needing to put out fires, like paying off Centrelink loans and being constantly in a reactive mode. Avoiding making any decision that could result in you going bankrupt like taking on any financial commitments that you don’t know for sure that you will be able to pay back or leveraging loans. – Make a commitment to yourself to develop more skills such as planning and budgeting along with learning how to use budgeting software. When you manage your personal finances the way you would a business it is about taking control over your own destiny, with both your life and finances. Try to take on your future with plenty of enthusiasm and vigor the way that great business leaders do. 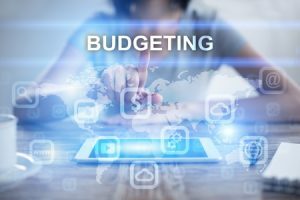 – It is a very good idea to use software for supporting your personal budgeting since it includes spreadsheets that keep everything in a single place. This allows you to see what your current state is very quickly, and allows you to plan and budget better and save you lots of time in not having to develop your own spreadsheet. The ultimate in personal financial software provides plenty of features that are user-friendly and makes it possible for users to manage all aspects of their personal finances, including taxes, future plans, investments and accounts. Software provides you with the most up to date information on stock reviews and tax laws to help you make informed decisions. Keep in mind that budgeting your personal finances properly is the start of sound and good financial management. Budgeting software and online websites can help you with this. Of course, that wouldn’t be possible without first learning how to manage your financial obligations successfully without getting stressed out.